electra wedding films, unique contemporary video and film specialists, call: 0182 737 3120 Electra Films wedding video showreel coming soon! 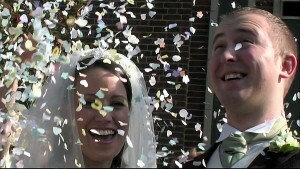 New Electra Films wedding video showreel released! Just your day ... perfect moments! Electra Films have just produced a new wedding showreel, showing brides all the anticipation, special moments, details and fun that they would miss without a wedding video - and we’ve been told that it’s pretty cool! See it on YouTube or on our showreel page - with loads of wedding videos in our movie theatre.